When a person weighs much below the perceived ideal weight, then the person is Weight Gaining Diet & Home Remedies can solve problem of underweight bodyunderweight. Calculation of ideal weight is done by considering the age, gender & height of the person. Poor physical activity, stress, heredity, lack of or poor nutrition & unhealthy lifestyle are some of the underweight causes. Your underweight problems can be solved by following a carefully planned weight gaining diet. Both, home and natural remedies are available to help you gain weight in a healthy and efficient manner. Whatever the underweight causes, you can easily follow these remedies which are safe, economical and which help you achieve your goal by putting in sincere, sustained effort. One of the beneficial weight gaining foods is banana. Consume banana whole or as a milk shake. 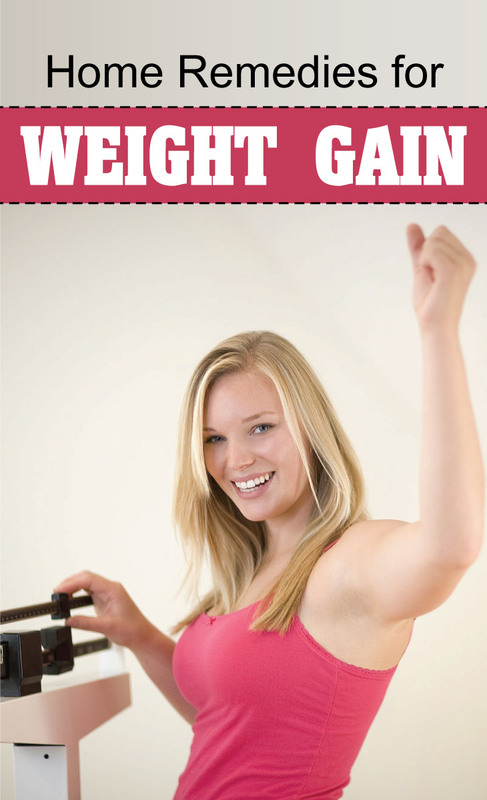 It is a cheap and quick healthy way to gain more weight. Consume a glassful of hot milk after adding a tablespoon of quality honey. This is a healthy measure to gain body weight. Immerse five figs and let these steep in water overnight. Consume these figs twice a day to treat your problems of body underweight. Among effective weight gain remedies is maintaining a fruit diet with milk. Fruits help nourish your body and milk is rich in & provides proteins, to your body. Add some dates, dry figs and almonds to plain milk. Bring the milk to a boil and consume it whole when warm. This can help treat your underweight problem. Weight gaining foods include mangoes. These become useful for gaining weight. After eating a sweet, ripe mango, drink a glass of milk. Alternatively, you may enjoy drinking mango milkshake regularly, for a month. You can also increase weight effectively through weight gain remedies such as consumption of bananas, thrice daily. Follow this up with a generous intake of milk or curd. Increase your body weight by consuming a tablespoon of raisins each day for a month. Raisins are beneficial in solving underweight problems. You can eat muskmelon to treat your underweight problem. Eat three medium servings of muskmelon daily as part of your weight gaining diet to help your body gain weight.